The Ibanez AWB 50 CE LG Natural Low Gloss is a 4-string electro acoustic bass guitar featuring a natural low gloss finish. The Ibanez AWB50CE 4-String Electro Acoustic Bass Guitar Natural Low Gloss is a wonderfully crafted instrument delivering massive tone warmth and articulation. 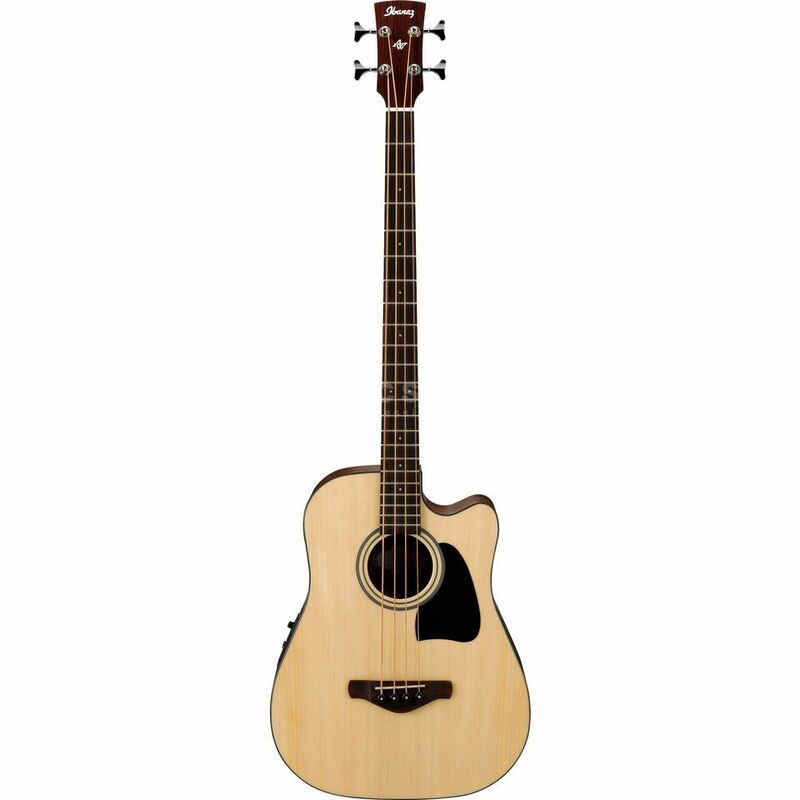 This Acoustic Bass guitar comes at an affordable price and is suited to a wide range of abilities whether you are a beginner or at an intermediate level. With its warm Mahogany back and sides, and the clarity of an X-Braced spruce top, the overall body shape helps to compliment the tone with the perfect projection you would expect out of a dreadnought shape. Electronically, the AWB50CE comes with an Ibanez SPT Shape Shifter preamp, 3-band EQ and a tuner so that the tonality of the instrument is uncompromised when amplified.